You can easily add a providers hospital affiliations via our Verify Hospital Affiliations step. 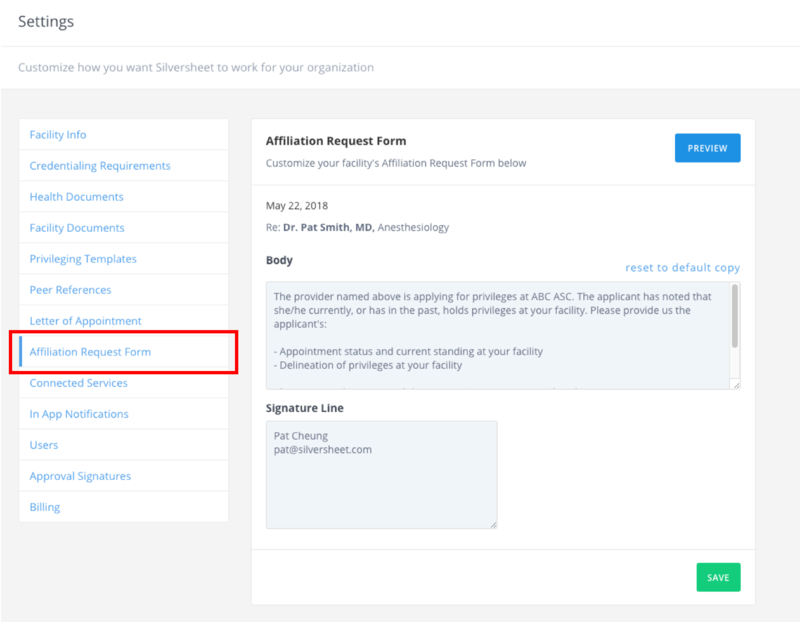 We've also added the ability to generate a hospital affiliation letter directly from Silversheet. 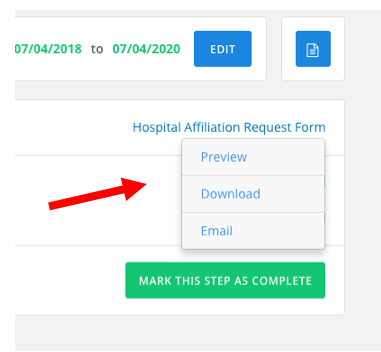 Simply click on the Hospital Affiliation Request Form to preview, download or email the form directly to hospitals. 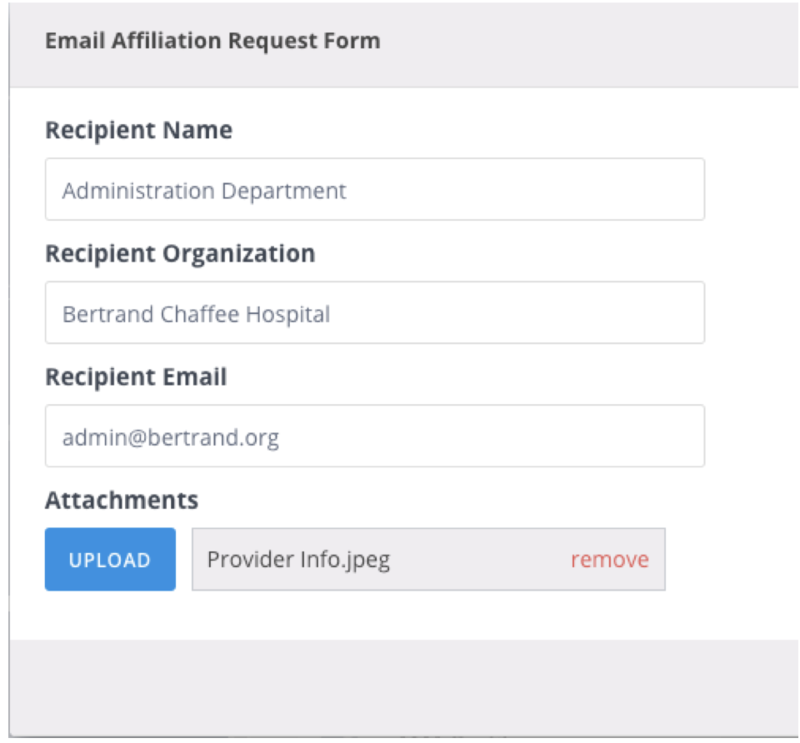 When emailing a hospital affiliation request form you can specify the recipient who will receive the email as well as include attachments in the email. You can customize the language in the email by going to Settings > Affiliation Request Form.